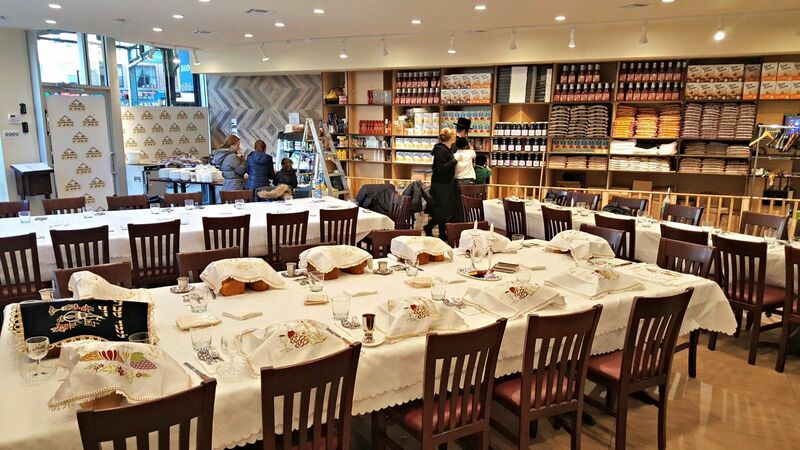 Courtesy Of Masbia Soup Kitchen Network, Masbia Soup Kitchen Network’s New Boro Park Location, Set Up For Shabbat. When Hurricane Sandy Struck New York, 650 Hungry Seniors Were Brought To The Park Slope Armory For A Meal, Courtesy Of City Planning. But The Meal Wasn’t Much Of A Meal. It Was Army Rations, Whose Highly Concentrated Salinity Alone Made The Chow Utterly Repulsive, Even To Seniors Used To Feasting On Puddings And Thick-It. “The inside of the package looked like a mixture between lasagna and cholent,” said Alexander Rapaport, Executive Director of Masbia Soup Kitchen in New York City. One can only imagine that after weathering a hurricane and arriving frail and wet to sleep in one big bedroom with hundreds of others, the least you could expect is a warm, hot meal. 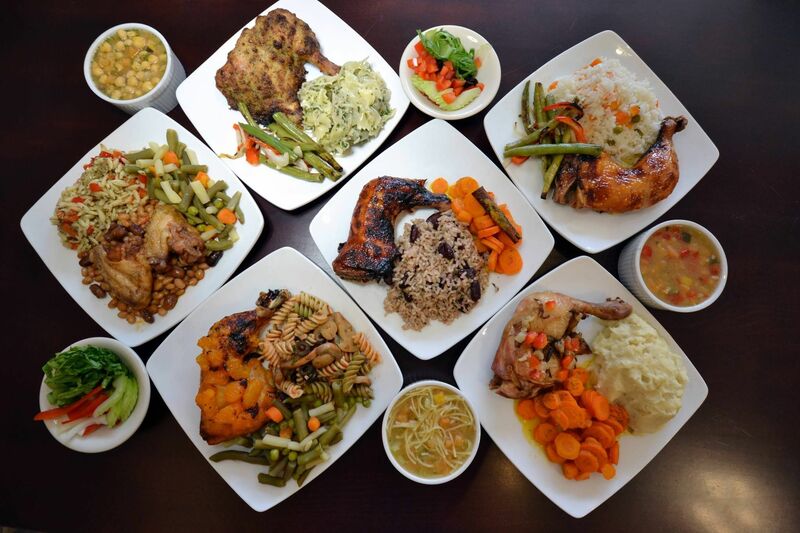 So Masbia was contracted to provide just that, arriving promptly with delicious, fresh, steaming hot food. By day three, with no showers available, the Armory had begun to reek — so Chef Ruben crafted a carrot/tzimmes side with a cinnamon kick to it that lifted everyone’s spirits and improved the scent of the room, Rapaport says. In today’s Instagram age, we eat with our eyes. If you’ve ever watched a cooking show, you know presentation is everything. And the folks at Masbia, who have dedicated their lives to feeding the hungry with dignity, know this more than anyone. In New York, if you’re open once a month for a few hours, you’re considered a soup kitchen by the municipality. But Masbia is open for hours every day in three different locations — reaching approximately 500 people a night. “We’re a reliable source of good food that happens to be kosher,” says Rapaport. In recent years, the level of Jewish poverty is New York has doubled. “45 percent of Jewish children in New York live in poor or near-poor households,” according to a special report on poverty. More New York Jews are poverty-stricken than in any other city in America. Contrary to the mainstream vision of Jews as rich and practically omnipotent, there are many Jews who rely on the community’s assistance for the basics, things like food, water and clothes. That’s where Masbia comes in. “Give the people their dignity for this half hour! I almost militantly believe this,” declares Rapaport. In most social enrollment centers, Rapaport tells me, the food is bait, a means to an end: In exchange for a basic meal, recipients must attend job training, their food stamp eligibility must be checked, and they must give up personal information. At Masbia, the food is its own end. Government-funded programs are trapped in a constant state of trying to determine how far they can stretch a dollar in what will be the cheapest way to fill people’s stomachs. It’s hard to put the sense of joy people feel when they are treated like people on a city planning spreadsheet. To Rapaport and Colombian Chef Ruben Diaz, who makes all the food with a deft hand, that joy is what they are all about. Unlike industrial cooking, which is regulated by the government because it’s government-funded, Masbia isn’t. Most problems with school lunches and prison meals are because chefs are required to submit menus a year in advance. You can’t predict how much an eggplant will cost a year from now. There are a lot of unknown variables when you’re planning so far ahead. Masbia is these programs’ polar opposite, planning menus on the fly, based on whatever deliveries they get from organizations like City Harvest and Rescuing Leftover Cuisine. Their menus might be created last minute, but there’s always an appetizer, often pickles, for hungry guests to crunch on while they await the main course. There’s always a soup, that’s thick and full of nutrients. The chef at Masbia makes do with what’s available and cheap at market. It’s followed by a main with two sides. Usually chicken or a fish, like tilapia. There’s fresh bread, donated from Strauss Bakery, and dessert, which varies by the day. On the table there’s always the accoutrements of a restaurant meal, from beverages like apple juice, seltzer, water, to condiments like ketchup, mustard, salt and pepper. It’s a dignified-looking plate, giving off a wholesome, warm feeling. In the past, Rapaport has rejected food for not being of high enough quality to serve to the people who visit Masbia. “We never ever accept old bread,” he tells me. Rapaport had a former employee who visited a program in Arizona for Passover. On his way home, he got to know his cab driver. “I’m from Brooklyn,” he said. “Hey, me too,” said the cab driver. The driver told him the story of how he used to be a drug addict who would visit this one place on Coney Island Ave where they never asked him questions and always served him food. Now he has a family and a steady job. Being treated with dignity made him feel like he was a person deserving of good things — and changed his life. “I used to work there,” said Rapaport’s former employee to his shocked driver. Indeed, the plastic trays in the photo of Masbia food are no more. Reminiscent of the school lunchroom, mass-produced and sticky, they are a symbol of how other soup kitchens operate. But not Masbia. Here, dinner is served in style — because here, human dignity is of the essence.